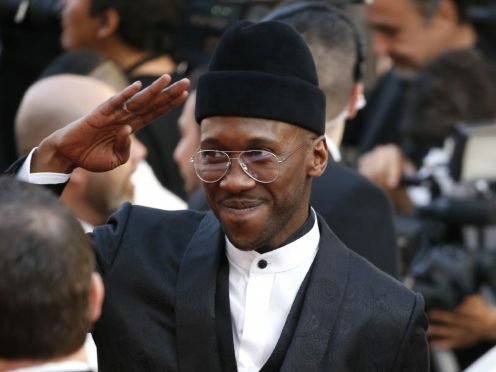 Mahershala Ali and Regina King have won top prizes at the Oscars as non-white nominees dominated the major categories. 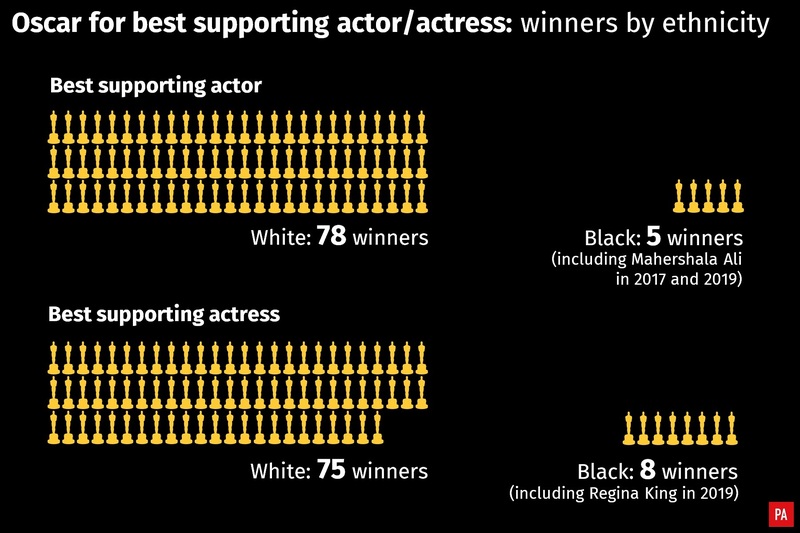 King was the first winner of the night at the 91st Academy Awards as she was named best supporting actress for If Beale Street Could Talk, while Ali was named best supporting actor for Green Book. Ruth Carter became the first black winner to collect the best costume design prize, while Hannah Beachler became the first black winner of the production design gong, both for their work on Black Panther. Collecting her gong for her role in the adaptation of the novel by James Baldwin, adapted and directed by Barry Jenkins, King said: “To be standing here representing one of the great artists of our time – James Baldwin – it’s a little surreal. “James Baldwin birthed this baby and Barry (Jenkins) you nurtured her, you surrounded her with so much love and support, so it’s appropriate for me to be standing here because I’m an example of what it looks like when support and love is poured into someone. Speaking to her mother who had accompanied her to the ceremony, King said: “Mom, I love you so much. Thank you for teaching me that God is always, always has been leaning in my direction… God is good all the time”. He added: “I want to dedicate this this to my grandmother who has been in my ear my entire life, telling me if at first I don’t succeed, try, try, try again”. He ended saying she had always “pushed him into positivity” adding: “I would not here without her”. The ceremony, which does not have a host this year after the Academy’s pick Kevin Hart stepped down following a row over historic homophobic tweets, opened with a performance by Queen and Adam Lambert. The band, who are the subject of the Freddie Mercury biopic Bohemian Rhapsody, performed a medley of We Will Rock You and We Are The Champions. They were followed by Tina Fey, Maya Rudolph and Amy Poehler, who took to the stage to poke fun at the drama that has surrounded the ceremony this year. Rudolph added: “So just to update you, there is no host tonight, there won’t be a popular movie category and Mexico is not paying for the wall. The second prize of the night was handed to Free Solo, which was named best documentary feature, while Bohemian Rhapsody collected gongs for film editing, sound mixing and sound editing. Roma was named best foreign language film and won the prize for cinematography.